Wow! After a fun tandem bicycle themed engagement session, these two planned a fun relaxed beach wedding for close to 200 guests. 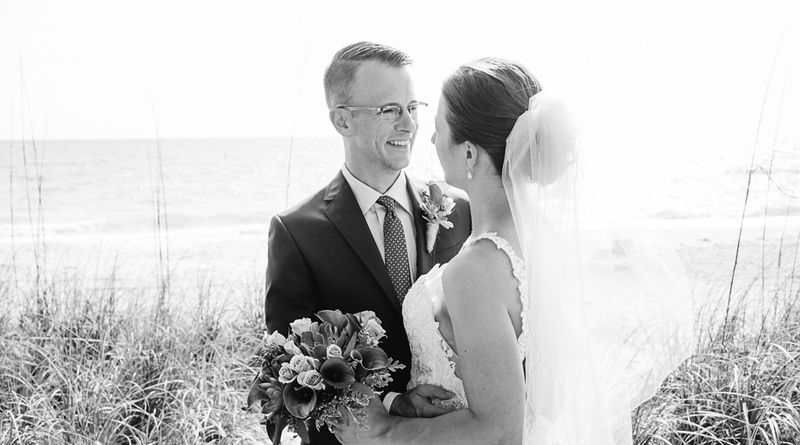 Their wedding weekend celebration started with a wedding rehearsal dinner with close family and bridal party outside under a tiki hut at the Postcard Inn overlooking St Pete Beach Florida. The wedding rehearsal celebration continued after sunset onto the beach with a bonfire where all guests of the wedding were invited. The next day we arrived at Sunset Beach House in Treasure Island Beach Florida, a private home the bride and groom rented to host some of their guests and also as the location for their wedding ceremony. 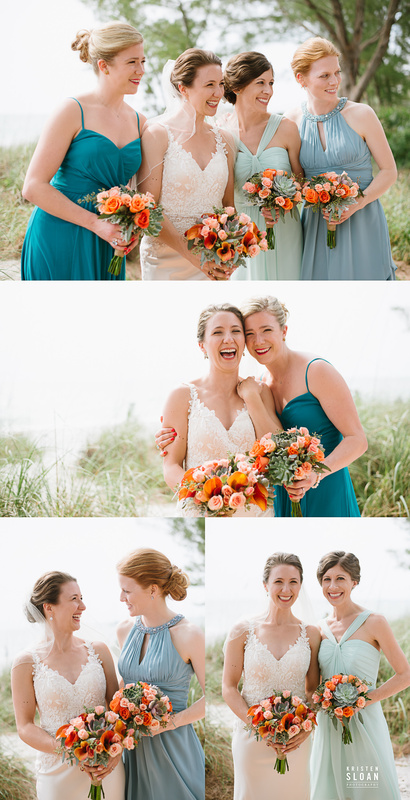 We captured the getting ready portraits and then prepared for the couples first look. This is why you do a first look on your wedding day! Look at the emotions between these two: they were so excited to see each other. The lovely aspect of scheduling a first look before your wedding ceremony is that you are able to schedule some intimate moments together on your wedding day. 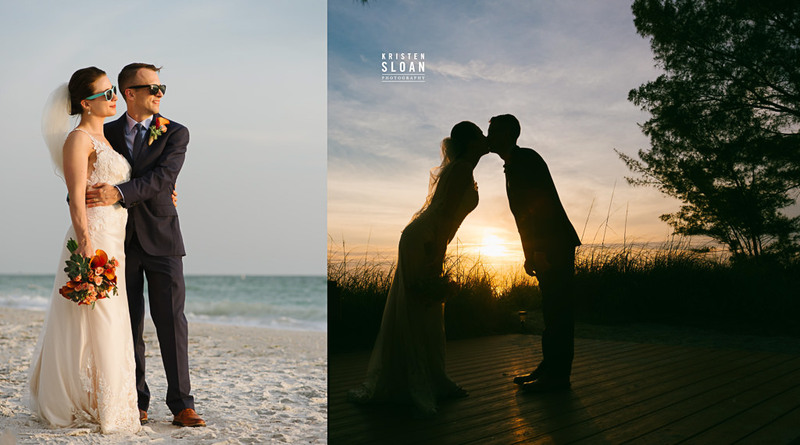 We captured the family portraits, bridal party portraits and moments with the bride and groom before the guests started arriving for the ceremony at Sunset Beach House Treasure Island. 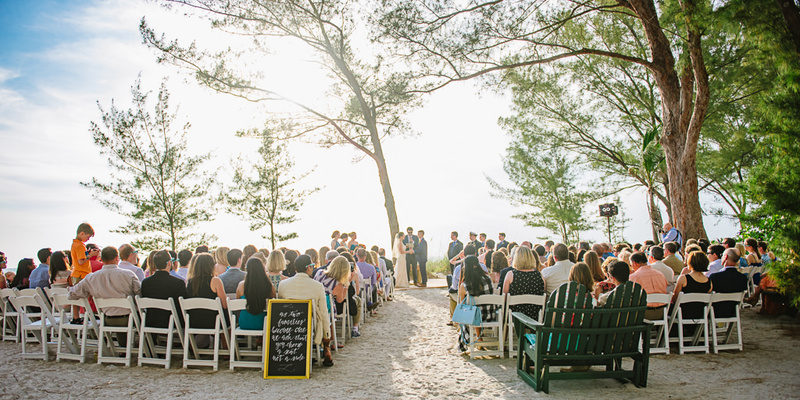 Sunset Beach House provided nice tree shade for our late afternoon pre ceremony portraits. 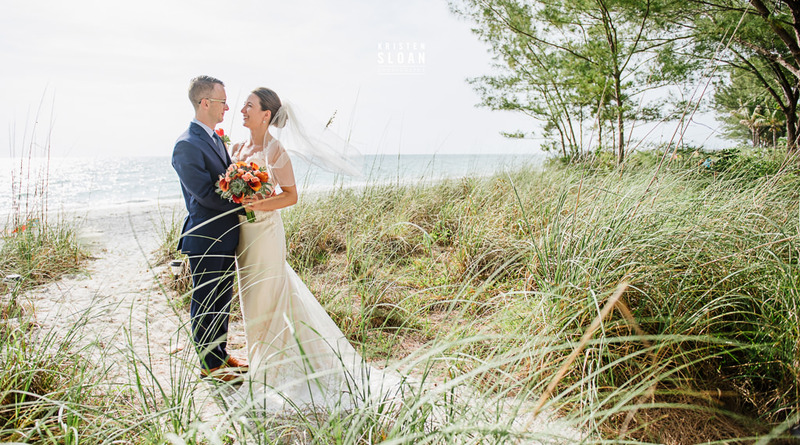 At this time of day, the sand on the beach can be blinding and the beach grasses and trees add interest to the bride and groom’s portraits. The wedding celebration continued at Mad Beach Brewing Company in Maderia Beach Florida at John’s Pass. 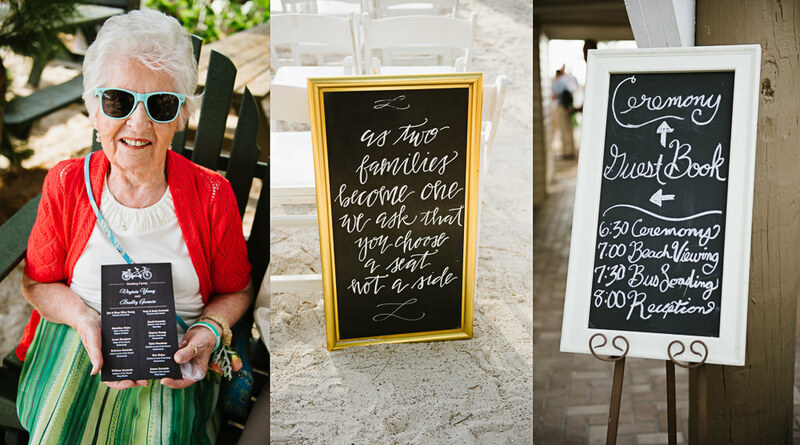 Guests were treated to amazing craft beers, sangrias and an amazing dinner buffet. The atmosphere was casual and relaxed and the guests loved the Brewery. 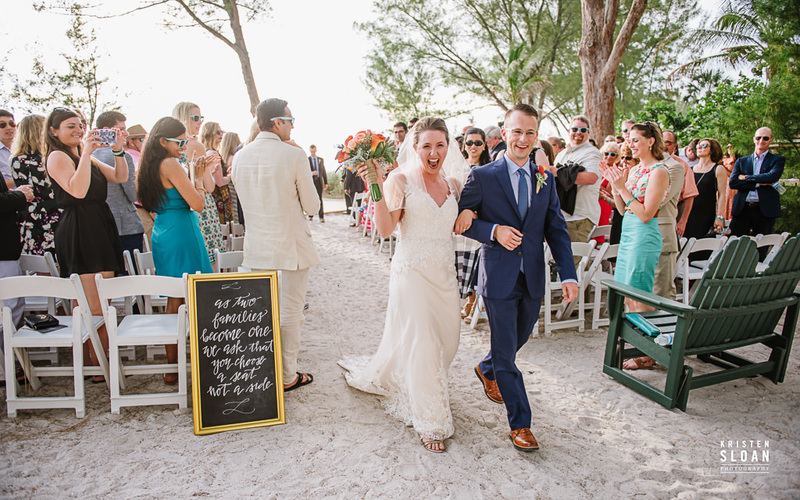 The couple skipped a wedding cake and had Mad Beach Brewery serve their signature desserts. The bride and groom hired the band All the Answers to play all night long and they performed all night long! 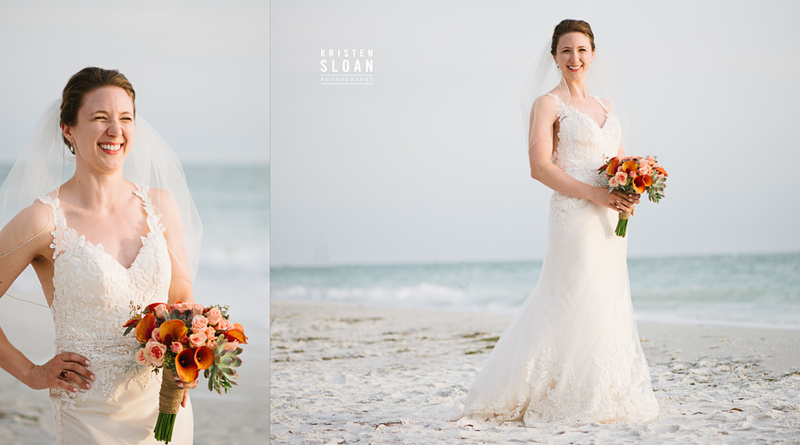 CONTACT SUNSET BEACH TREASURE ISLAND WEDDING PHOTOGRAPHER KRISTEN SLOAN TODAY TO CHECK PRICING AND AVAILABILITY FOR YOUR WEDDING DAY!